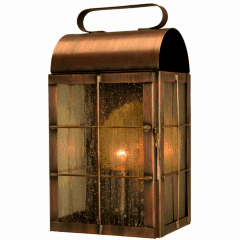 The Portland Copper Lantern Outdoor Lighting Collection, made by hand in the USA from solid copper and brass, is made to last for decades and will never rust or corrode. 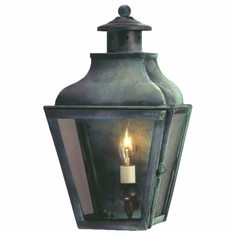 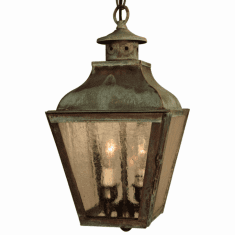 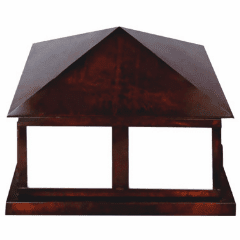 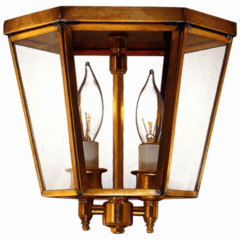 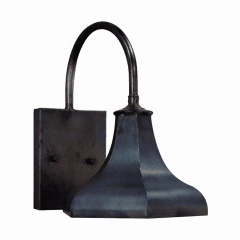 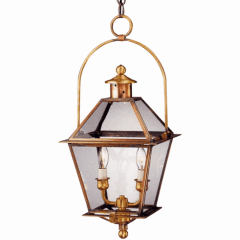 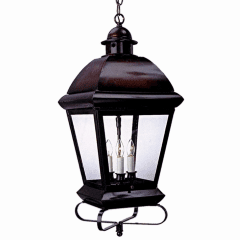 Available as a wall mount lantern, a wall sconce, a post mount lantern, a hanging pendant style lantern or a column mounted pier-base lantern this colonial style Artisan copper lantern goes well with Colonial, Colonial Revival, and Early American style houses. 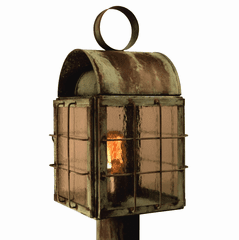 This versatile copper lantern also works well with Spanish Colonial style homes especially when finished in our Dark Brass or Dark Copper finishes. 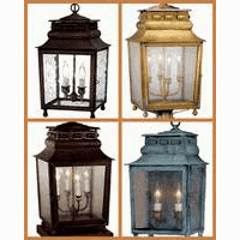 Includes your choice of any of our seven all-natural hand-applied finishes and four unique styles of glass, free shipping to the continental US and our lifetime warranty. 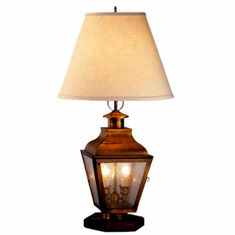 Not quite what you were looking for? 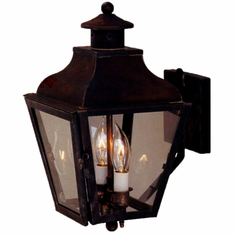 Lanternland always welcomes custom orders; modify one of our designs, create your own or reproduce a classic. 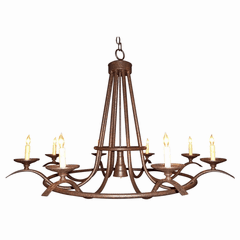 Our design team makes it easy. 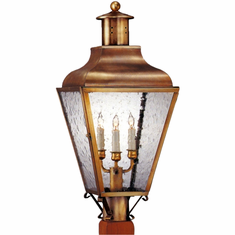 Call toll free now 1-855-454-5200.